16362 Hyde Manor Dr., Tampa, Fla.
Congratulations to our Teammate Alyssa Aquino who worked expertly with the buyers on this stunning CalAtlantic/Lennar new construction home in the New Tampa neighborhood of Stafford Place. This 5-bedroom, 4-bathroom home features over 3,800 square feet of useable space. Plus, Alyssa worked with the builder to close on time and for nearly $50,000 less than original asking price. Check out the pictures to see more about this home. 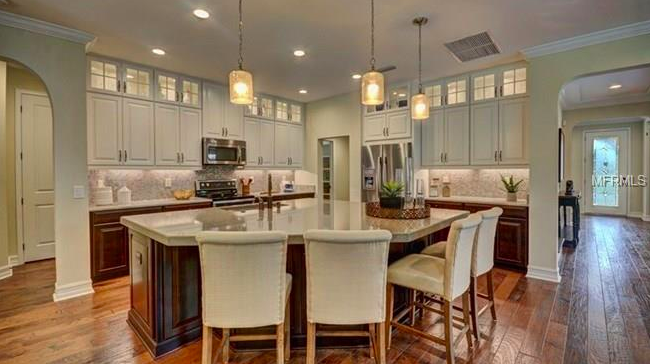 The gourmet kitchen features custom cabinetry and trim with the best in new granite countertops and appliances. Plus, the huge center island has plenty of room for extra fun. The focal point of the ground floor space in this house is the central living room with access to all the welcome spaces there. Set up your furniture and have room leftover in this big room. The upstairs bonus room is exactly that - a bonus! Set this space up any way that you need: a home office, a theatre room, a game room, or a room just for the little ones. I Want to See Other Homes Like This One!